Constellation named Carina. 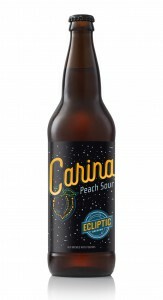 Loaded with fresh peach flavor, Carina is a sour ale perfect for any time of year. The use of Pale malt makes for a crisp character, while lactobacillus gives Carina a tart and refreshing finish.